The Camco Fridge Odor Absorber is an easy, space-saving way to help trap unpleasant odors in your refrigerator. It can either hang or sit on your refrigerator rack. 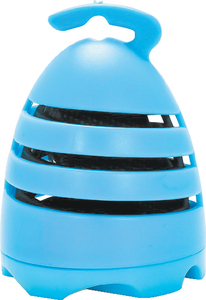 The swivel design allows you to adjust the airflow and help maximize contact with air and trap more odors. The inner charcoal bag is replaceable and lasts up to 6 months.